Four-Star was established by expert technicians who thrive on research and development in this challenging field. 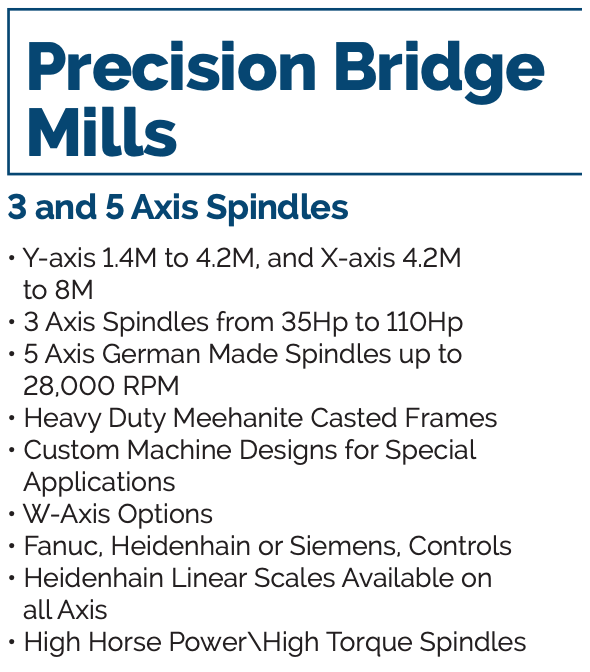 Four-Star specializes double column machining centers, precision bridge mills, and heavy duty gantry mills. 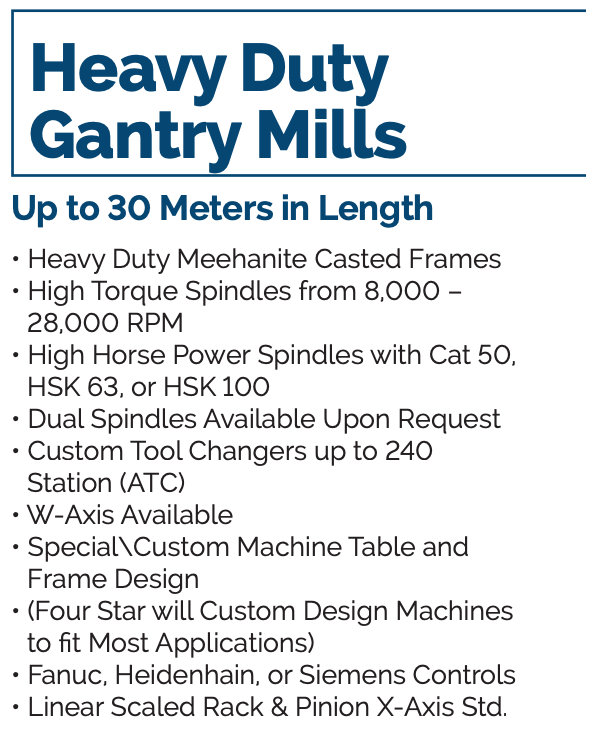 Four-Star machines boast high quality, superior performance, high productive capacity and high reliability. They continuously achieve the highest quality CNC machines by utilizing ISO 9001 and ISO 14001 standards. All machines are factory tested to have the highest position accuracy and repeatability accuracy.